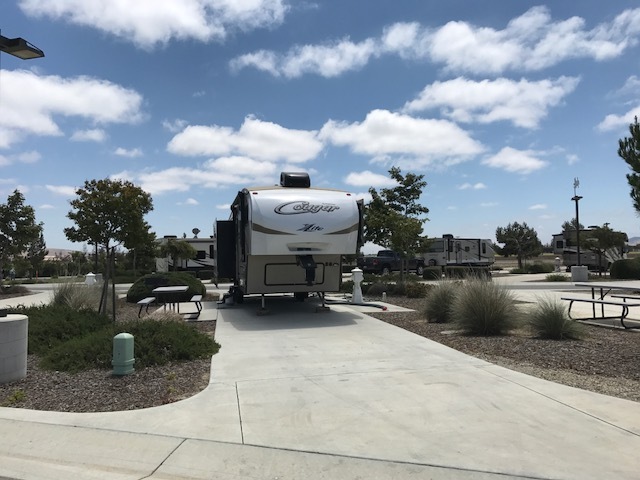 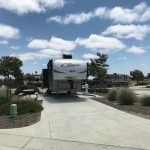 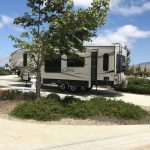 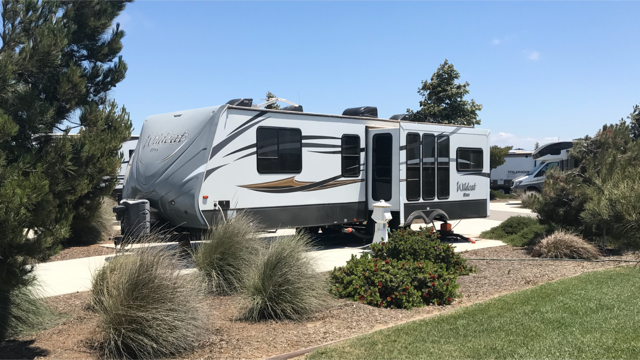 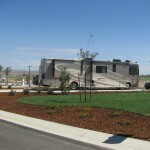 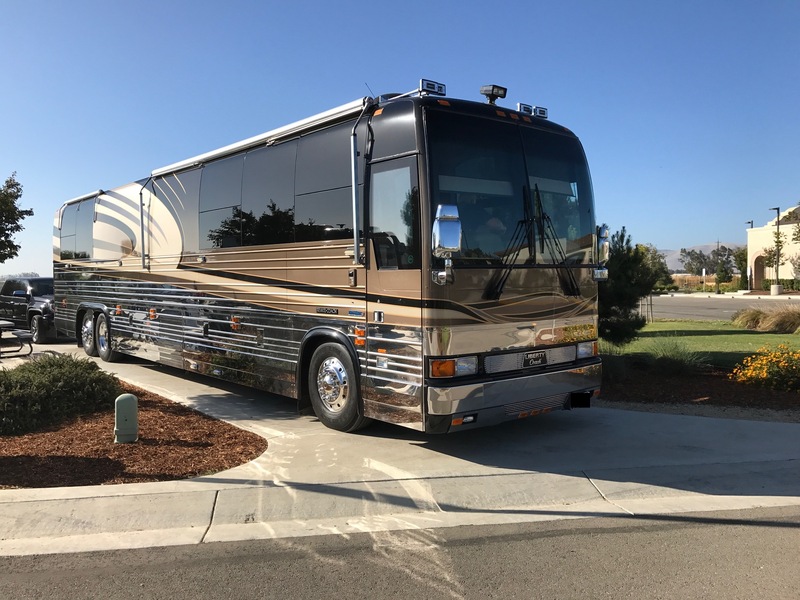 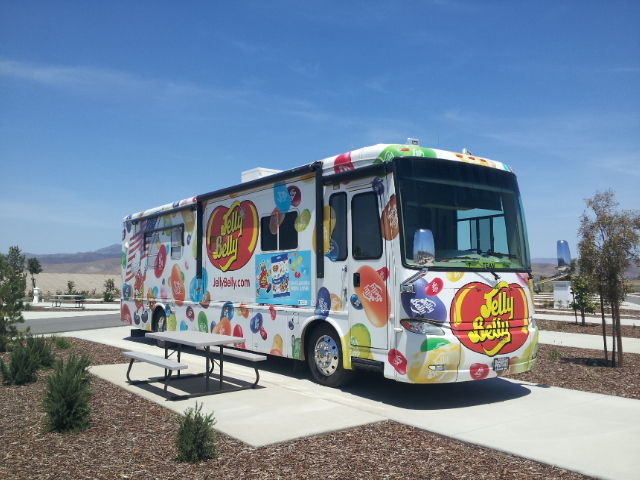 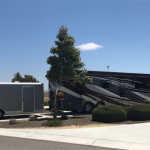 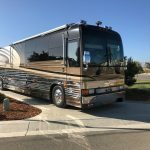 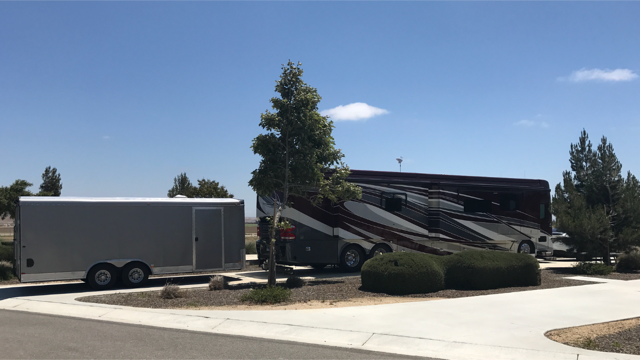 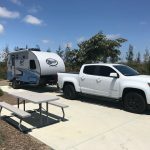 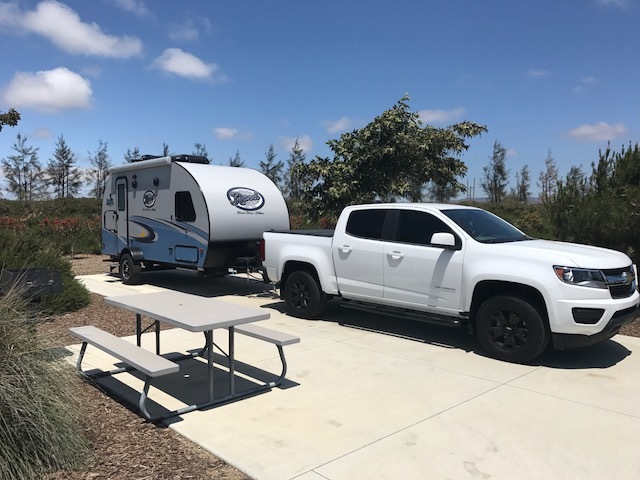 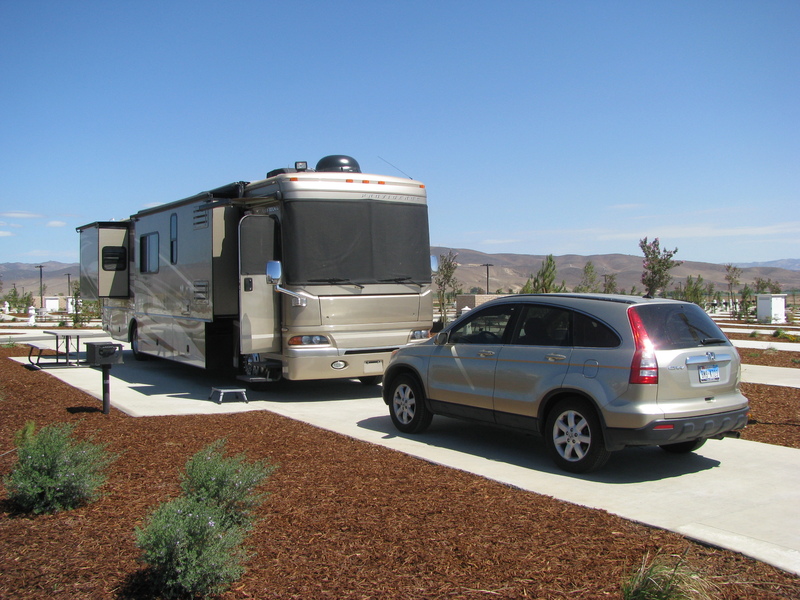 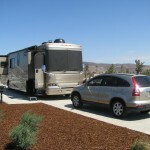 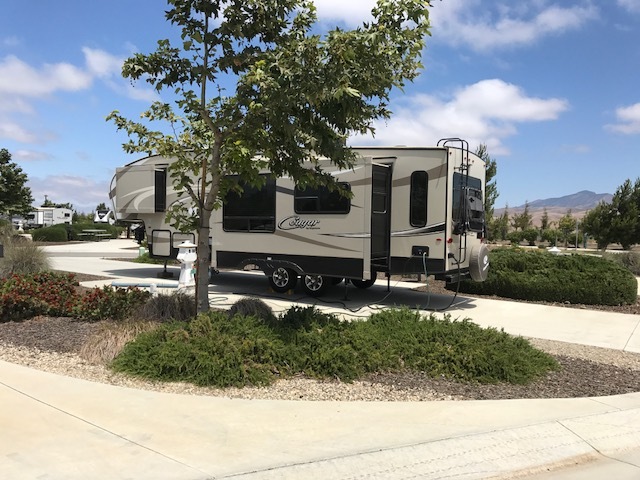 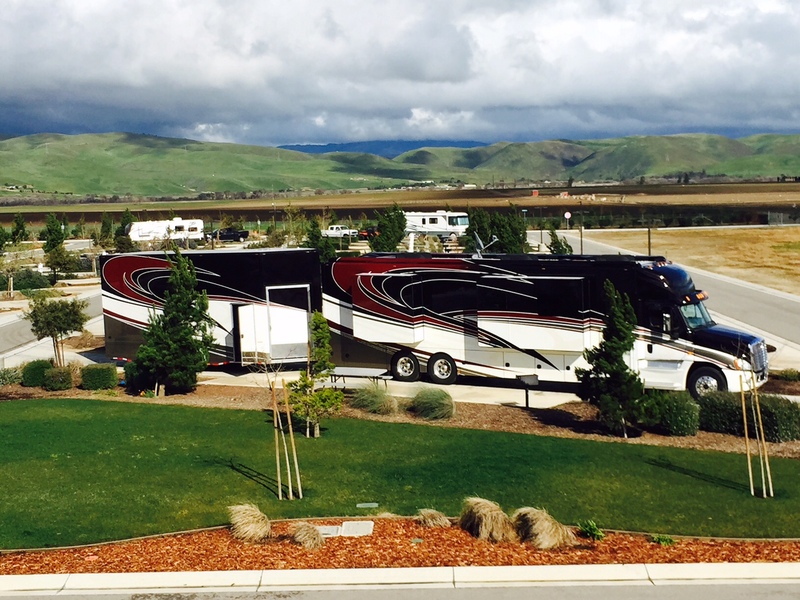 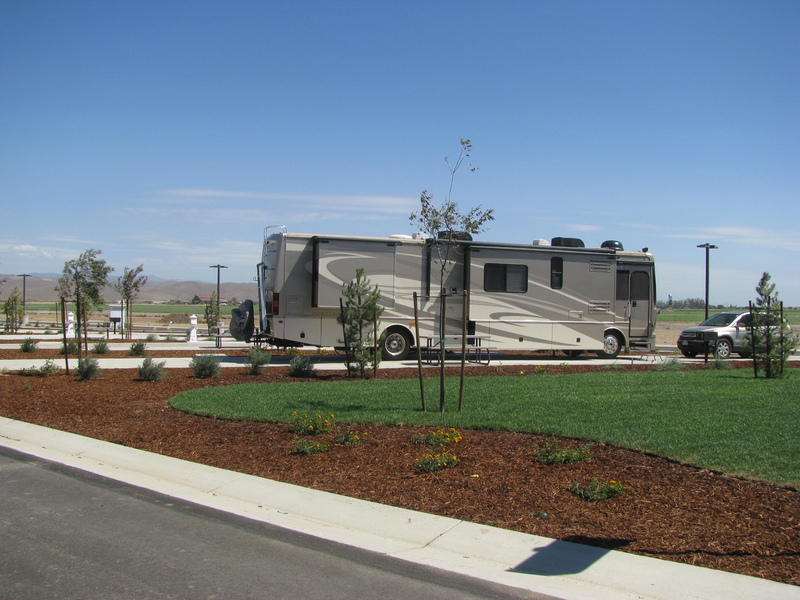 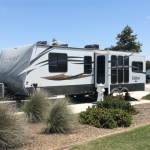 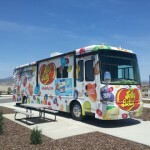 Featuring the Longest Pull Thru RV Sites in the Monterey Area! 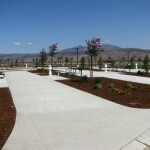 All sites are on paved roads. 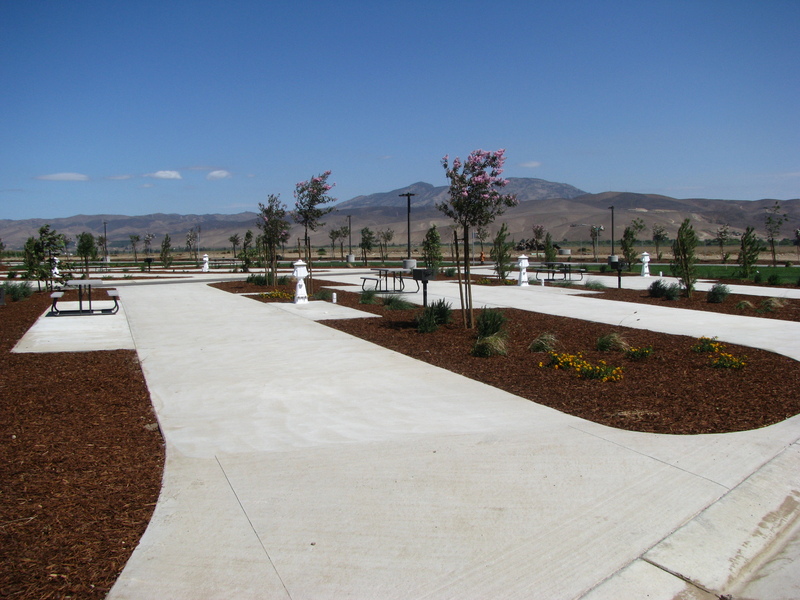 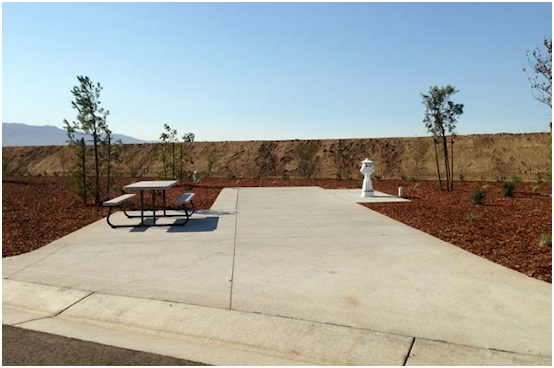 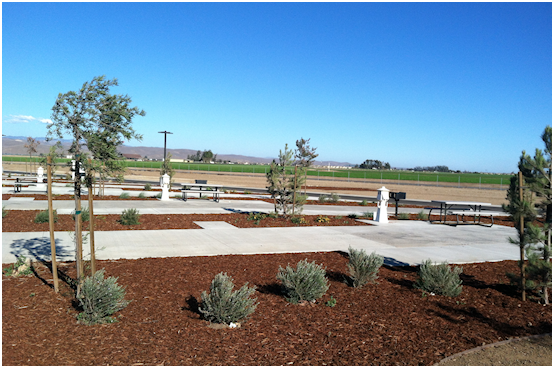 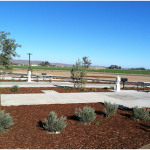 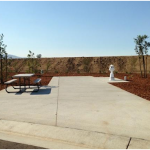 Sites have concrete pads with 30+ foot patios, picnic tables and barbecues. 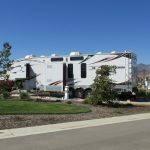 Full hookups include 50/30 amps, water, sewer, cable TV and WiFi. 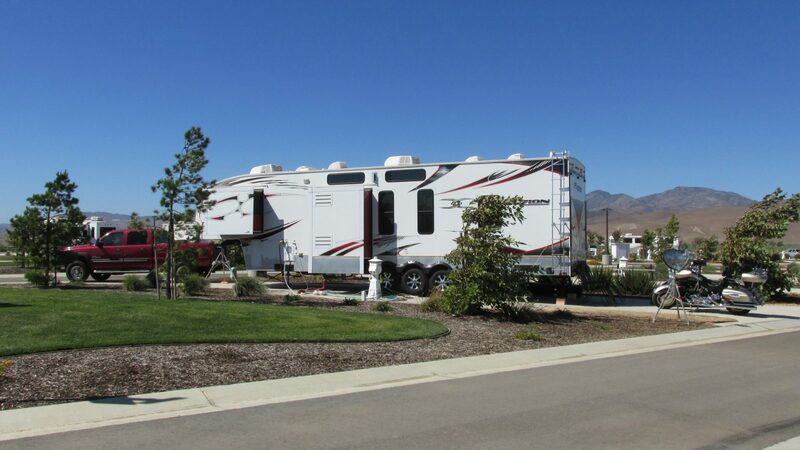 Standard Back In RV Site – 50 Ft.
Deluxe Pull Thru RV Site – 70 Ft. 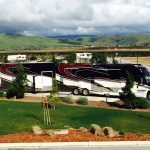 Premium Pull Thru RV Site – 100 Ft.